Being quite short it's always tricky wearing long skirts. They're either too long or too short for me. I just fell in love with this skirt with it's cut at the side. I'm completely obsessed with white this Summer so I jumped when I saw these Heels from Next. I already mentioned it a million times about how obsessed I am with white this Summer. I seriously need to find another colour to obsess about. But when I saw those heels I couldn't help myself. There's something about Black On Black, I think the pearls make the outfit a slight bit more demure. I just started interning at MCRFashionweek and I must say i'm really excited. Until a few years ago I never imagined myself as a writer so I went to Law school instead, I blame Ally McBeal for that to be honest. People kept asking why I'm not utilising my degree or why I even studied it in the first place when I seem to be going the exact opposite direction. The thing is, I'm entirely happy I studied what I studied. I acquired many great skills, from analysing to public speaking to making sound judgements. - It 'rounded' me greatly. It will help me in whatever I may chose to do next, so there are no regrets for me. I'm also muchos excited for Vogue's Fashion Night Out 2013, this Fall it's moving up North to Manchester. I'm definitely looking forward to that! 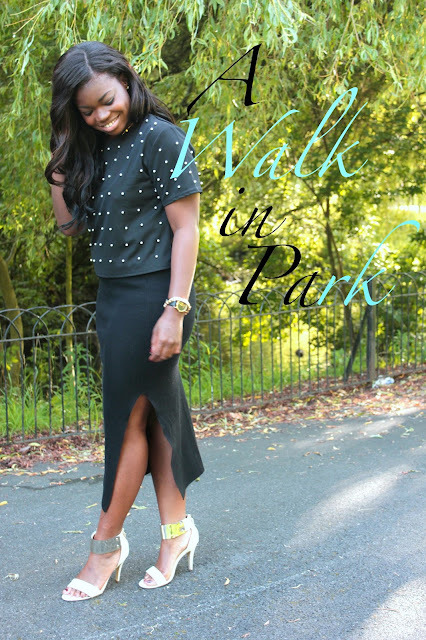 I definitely enjoy writing and what's better than combining it with my love for fashion?